As I sit here and think about how incredible of an experience I have had during this summer with the Healthy Living Initiative; the most recent experience continues to resonate, which was my brief return to Cariamanga. It was a bittersweet good-bye to the rest of the group knowing that the main part of the summer was complete, but I would see all my new friends and colleagues back in Athens, a place so dear to my heart, in just a few short weeks. The trip back to Cariamanga was uneventful, which for any traveling, is good traveling. It was a good flight, and when we arrived back in Cariamanga it was such a good feeling to be back there. I had grown so attached over the previous eight weeks and felt so comfortable being back. I was also very excited to get back to work in the communities. 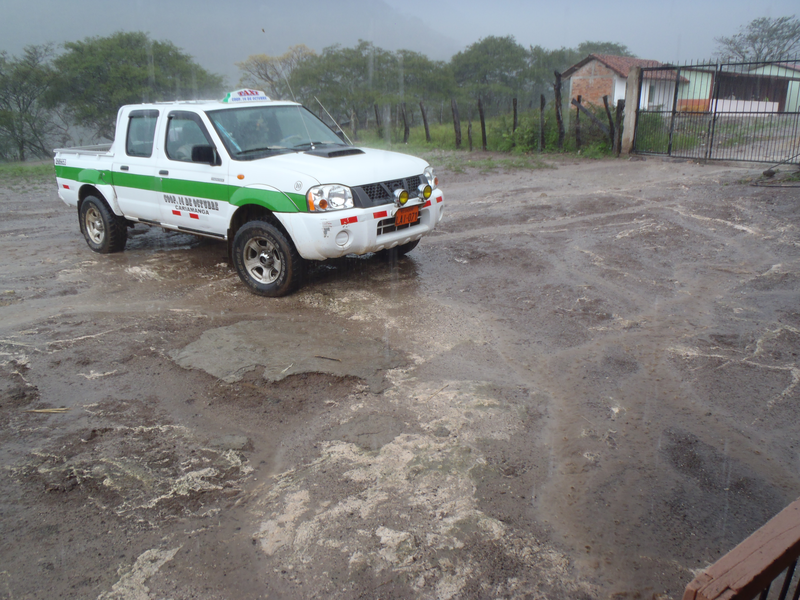 By the time I arrived back in Guara on Monday, I felt as if I had missed more than just 10 days worth of work. So much had happened! 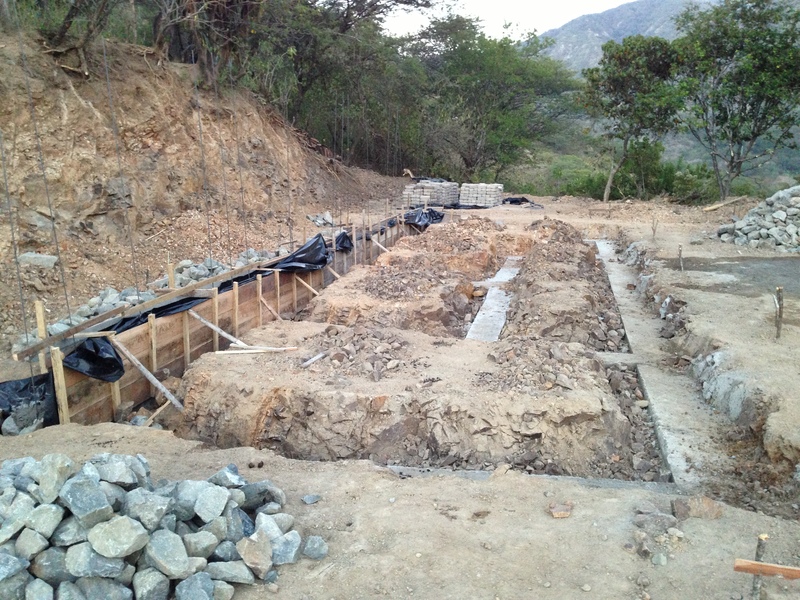 Don José’s house that I had previously known was no longer there, and there was only a flattened piece of land with the areas for the foundation already excavated, and ready to be poured. The crew had been working hard to get this all ready, and they would continue working hard while I was there with them as well. Also, the “playground” of the school where I had previously made school tire gardens was no longer there. 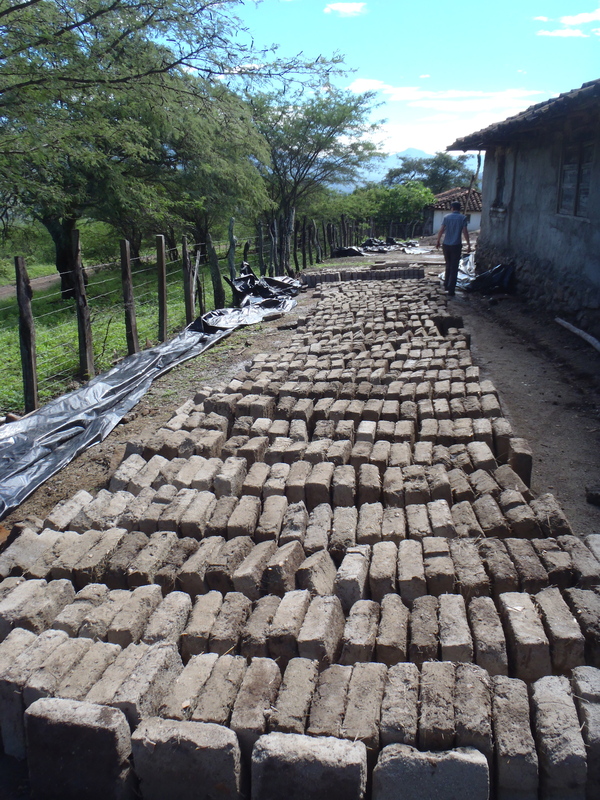 The gardens were doing well, however the Ecua-volleyball court had been temporarily displaced and now there was a flat, fenced in space for drying the adobe bricks they had been making, and we were going to continue to make to complete the house for Don José and his family! 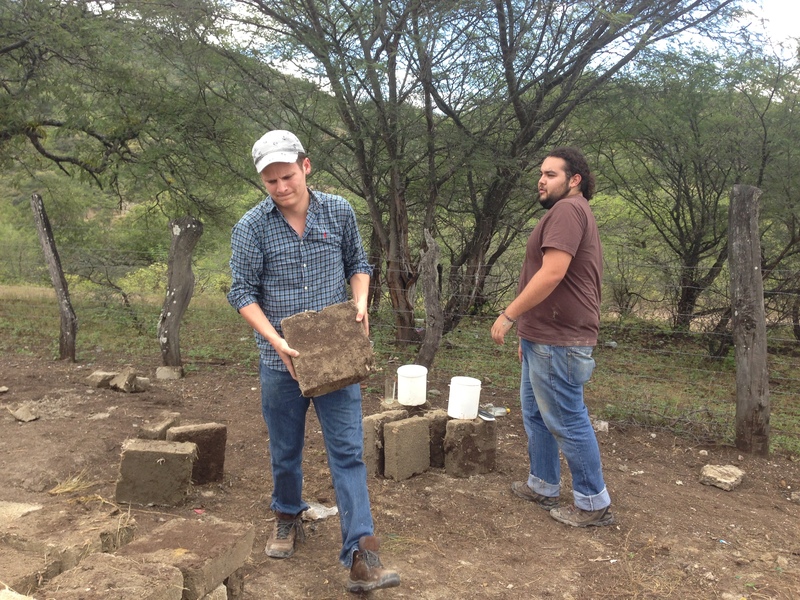 The brick making process is a very physically intense process, however it was a lot of fun! 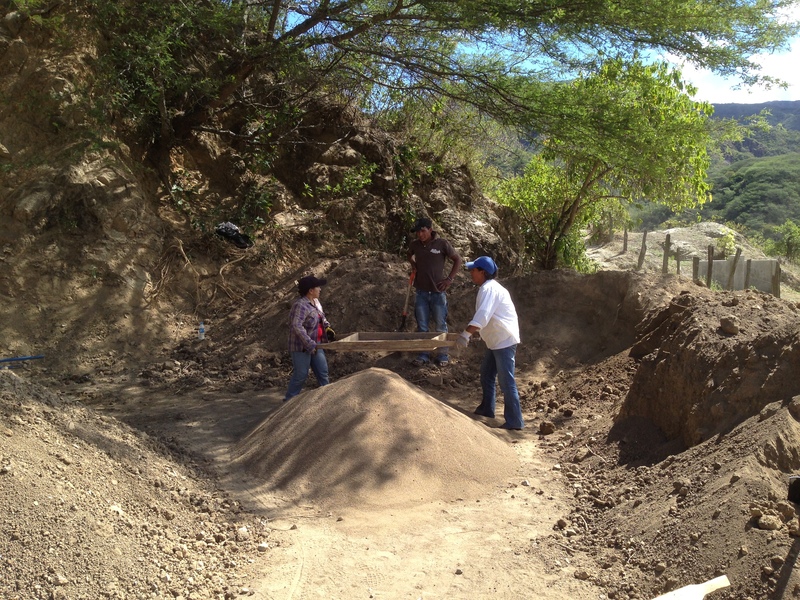 It was a very good group bonding experience and I was really able to spend a lot of quality time with Lucho, Don José and several of his kids during this process, from sifting clay, to mixing the clay and water in the pit that was made and then adding the straw binder to the whole mix to make the final material that we would place in the forms and then leave to dry. It was much more than just making bricks, we spent hours, laughing, joking and telling stories about our lives to each other. There were even days when friends and community members of other areas such as Bella Maria came up to help! Also, being able to share meals with the family was so wonderful and the food was delicious! Doña Hilda is an amazing cook! I was able to spend some breakfasts, every lunch, and most dinners with Doña Hilda and the family during my extra week and a half in Cariamanga, which made it even more personal helping with the construction of the house. 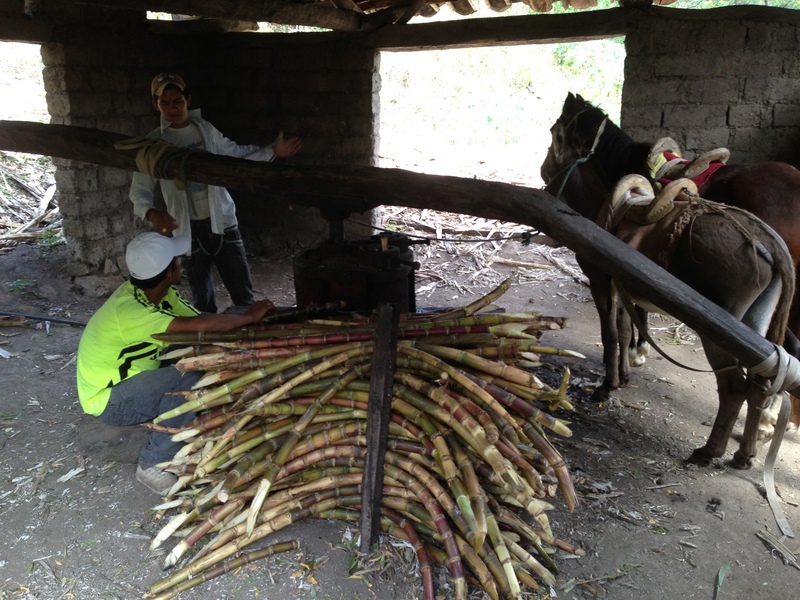 I was even invited to help cut sugar cane, and make “panela”! 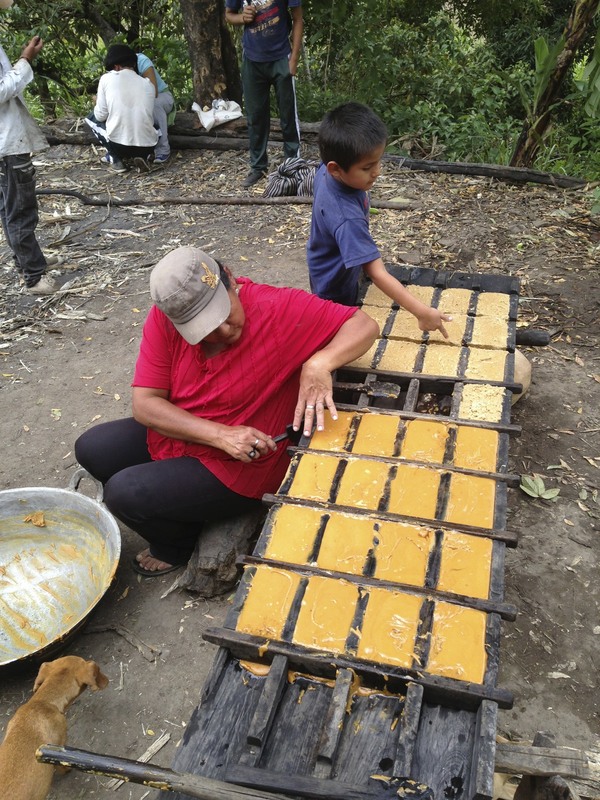 Panela is a raw block of sugar, which is made by harvesting the cane, extracting the juice and cooking down the liquid until the raw sugar block remains. In this process you are able to add various things as well for texture or flavor, and we chose to add ground peanuts to one batch! Each activity, each meal and each day that passed I felt more and more a part of this amazing family and so proud and fortunate to have the opportunity to be a part of their lives. It was such an incredible experience that they allowed to me to be a part of the building process, and be with them during such an emotionally challenging experience. I am very sad to be leaving Don José and his family, however it makes me even more excited to know that I will be back in Cariamanga, in just a few (9) months and I will be able to see them again! For now I must focus on getting everything ready for the next few months back in Athens to be able to better benefit the communities of Cariamanga when I return next year. 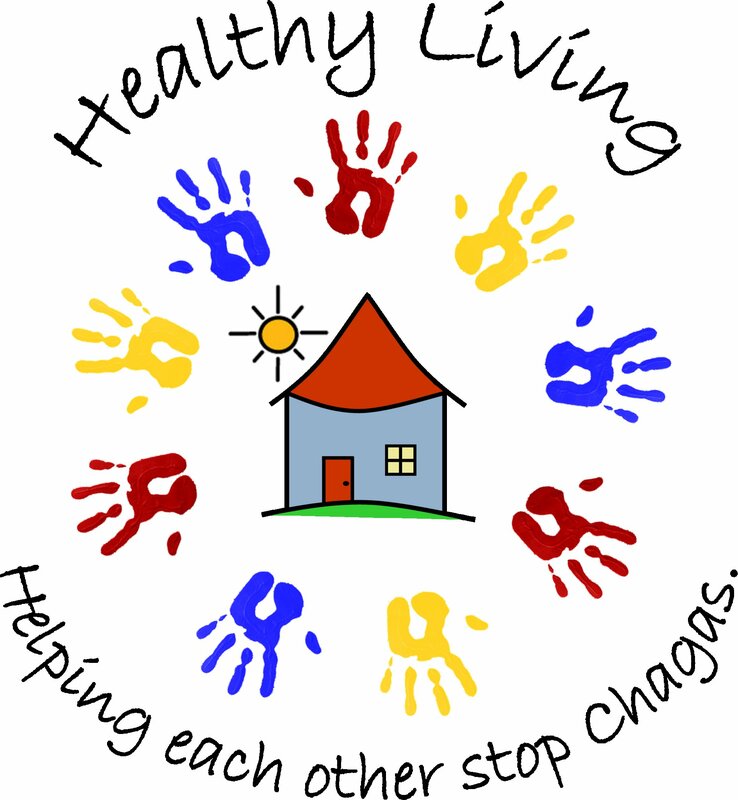 As well as for future endeavors of the Healthy Living Initiative! 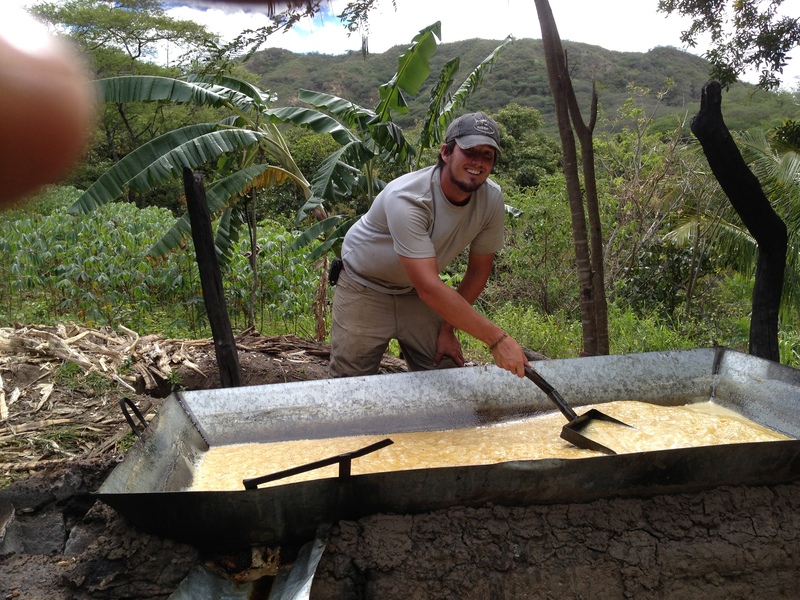 Charlie Fulks is a first-year International Development Studies graduate student at Ohio University. He will be spending the next two years working closely with the TDI on all their future endeavors. Wow! I have already been in Ecuador for 3 and half weeks. I can be really cliché and say “time fly’s when you’re having fun,” but you get the idea. Working with the Healthily Living Initiative is very rewarding and I feel there are a plethora of opportunities for me to explore, as it becomes time for me to focus on the topic of my research. Throughout the time I have been here so far, we have already seen one group come and go. The Service Learning group where the first to come and work with us this summer and truly worked hard. 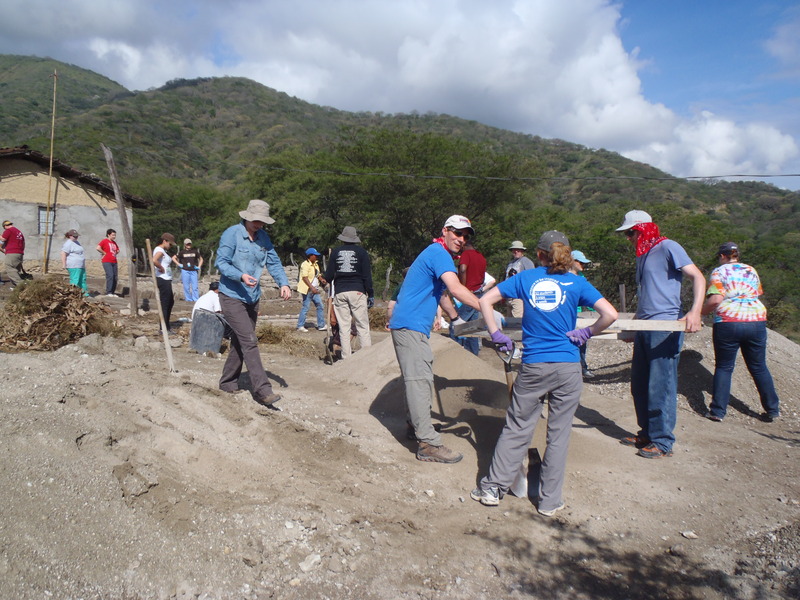 This group worked in the community of Bellamaria on the construction of a communal house that will be used for several functions within the community. 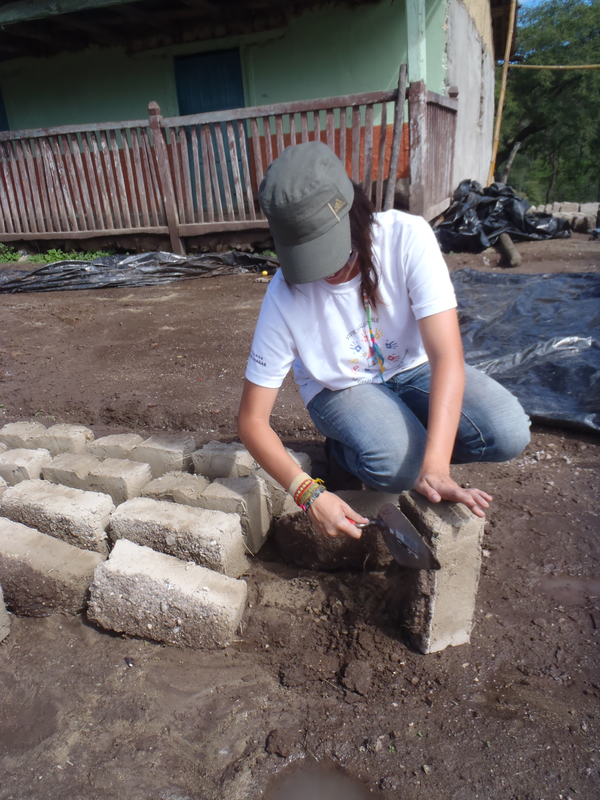 The group worked in the adobe brick building process. This was not an easy task but everyone gave their best efforts to make the bricks. 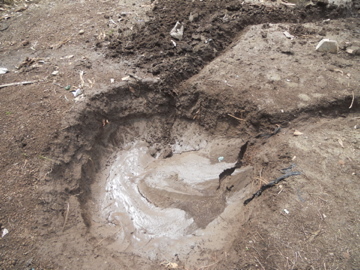 The process consist of shifting sand, mixing the sand and water until it reaches a mud like consistency while adding hay to hold everything together. 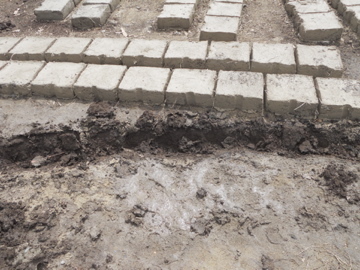 After the mud mixture is ready it goes into a square-shaped mold to form the shape of the bricks. 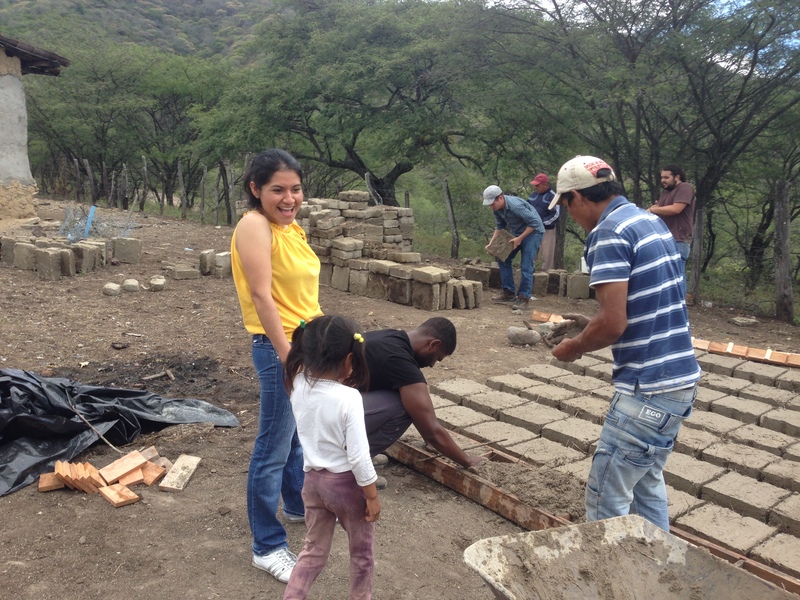 The group worked everyday on the bricks. There was a small group who also participated in English and Computation lessons in the schools of Guara, Chaquiza and Bellamaría. The last day that the group was there the school of Bellamaria had a performance for the SL group that was delightful. Afterwards the SL group had their own performance for the community “The Chicken Dance! 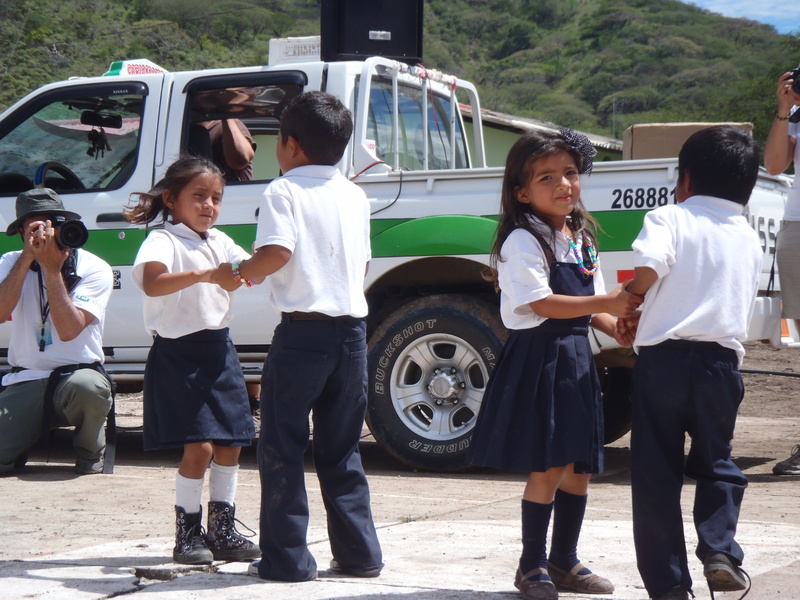 !” The schoolchildren as well as the rest of the community were laughing as the SL group preformed and everyone had a blast. 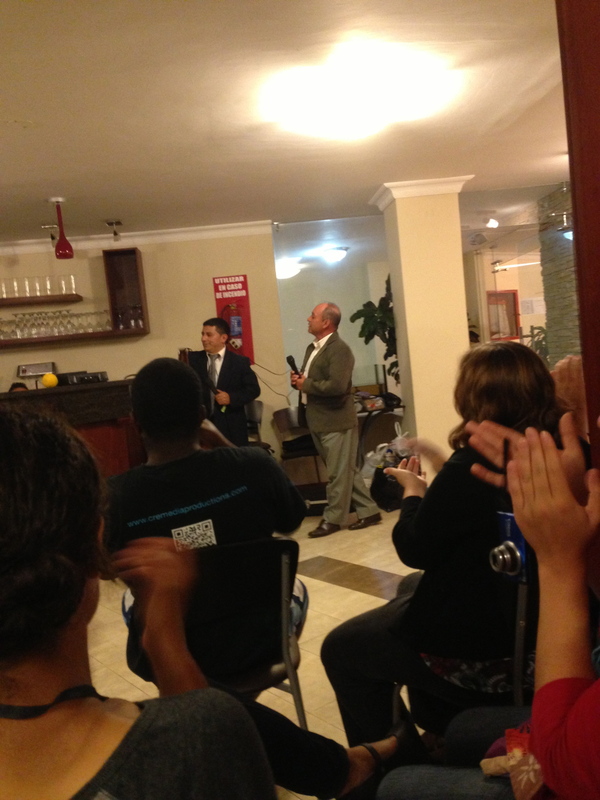 In the evening we had a small going away party for the SL group at their hotel. We were caught by surprise when Don Victor, the man who knows everyone in our town and wonderful driver started singing and had a concert. Afterwards, there was a guitar that was being passed around while the musicians in the groups showed their talents. 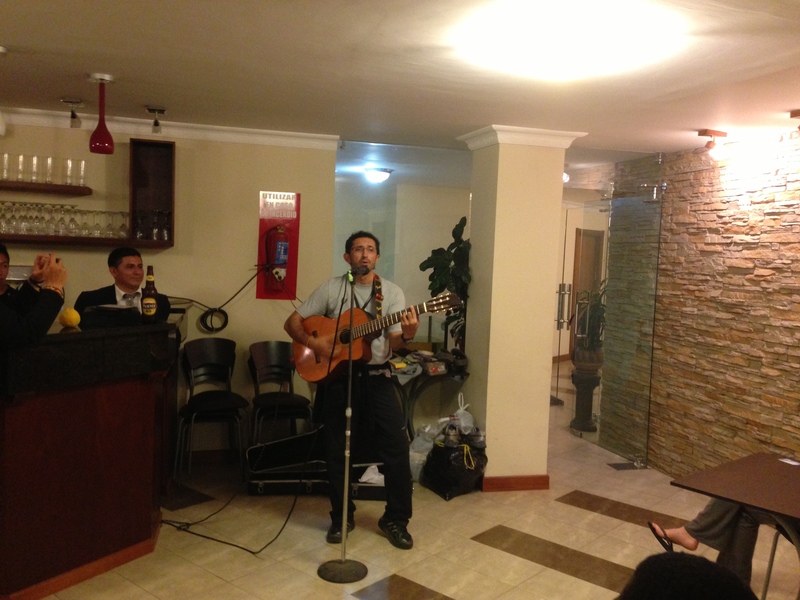 Esteban Baus and Peter Mather both took the stage and surprised us all with their solo performances. As time moves on, I am getting excited about the future and the research I will be working on. Like I said before there are so many opportunities to make an impact! Working on the adobes has been tough, but very rewarding to see the progress we have made. As of now the part I like the most is the actual filling the molds with the wet cement-like mud, which are used to create the adobe bricks. It is fun getting down and dirty with mud and forming the bricks, plus your hands feel very smooth as the mud is an exfoliant. After being sick for the past few days I feel rejuvenated me and I have been very productive. Today is also the last full day that the Service Learning team is in Bellamaria. We were given Service Learning t-shirts to where for today and tomorrow and now I can officially say I have gotten my first free t-shirt from Ohio University!! During needed water breaks throughout the day I talked with a few SL volunteers to see if they are enjoying the trip and the majority really had a great time! I am impressed how willing they are to work and push their comfort level by interacting with the community members of Bellamaria and trying their best to communicate with them. 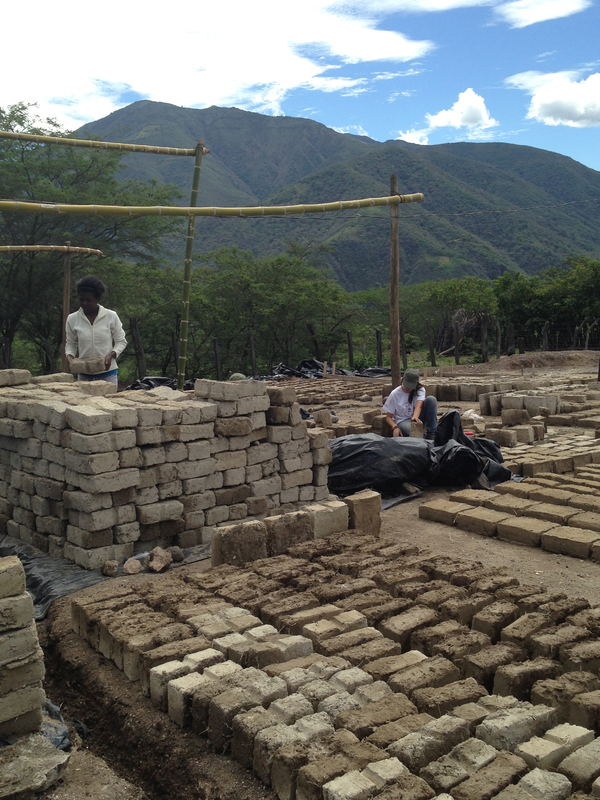 Towards the end of the day much of the time was spent moving the adobe bricks so the rain would not destroy them. The adobe bricks are heavy and when they are not completely dry there is a risk of breaking them when picking them up so you have to be very careful. 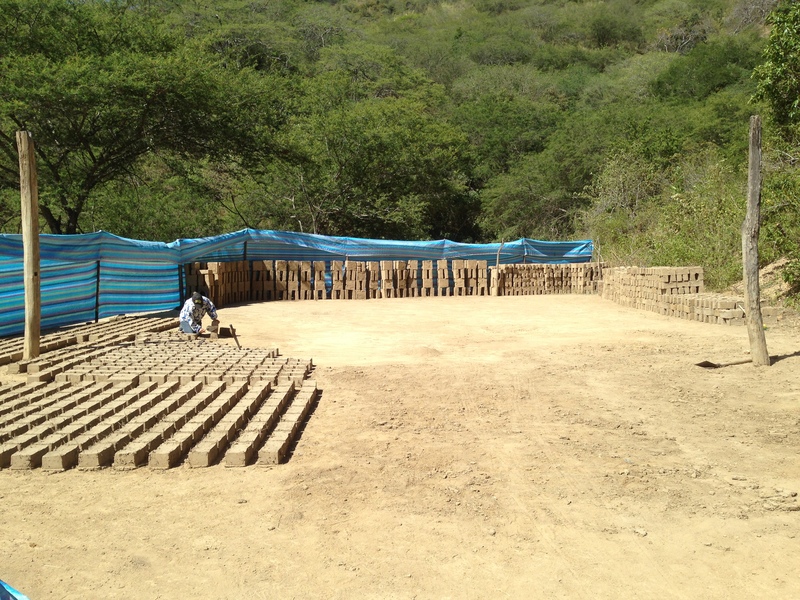 The SL team and I worked on stacking the bricks and putting them in a place where the rains would not harm the hard work we have done throughout their week here. Tomorrow there will be a going away party for the Service Learning group and the community members! It should be fun seeing everyone interacting and dancing together! 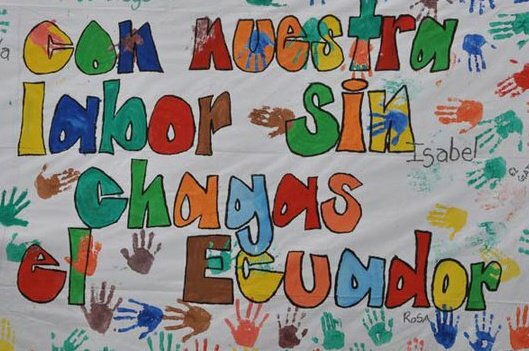 Coming back to the communities in Ecuador for my second summer I thought things would be similar. In my most skeptical moments I even thought that our work was kind of like Sysiphus, any progress we would make together throughout the course of a summer would fade away and we would come back only to do the same thing all over again. I have been very surprised however that things feel different working and interacting in the communities this summer. I was surprised and delighted that many people remembered me and some remembered my name. Especially working in Bellamaria, participating in the mingas with the community members and talking with them and hearing them, I feel that there is a greater ease in our relationship, that is between Healthy Living and the community members. People come up to me just to talk about anything and call me by my name and remember it. 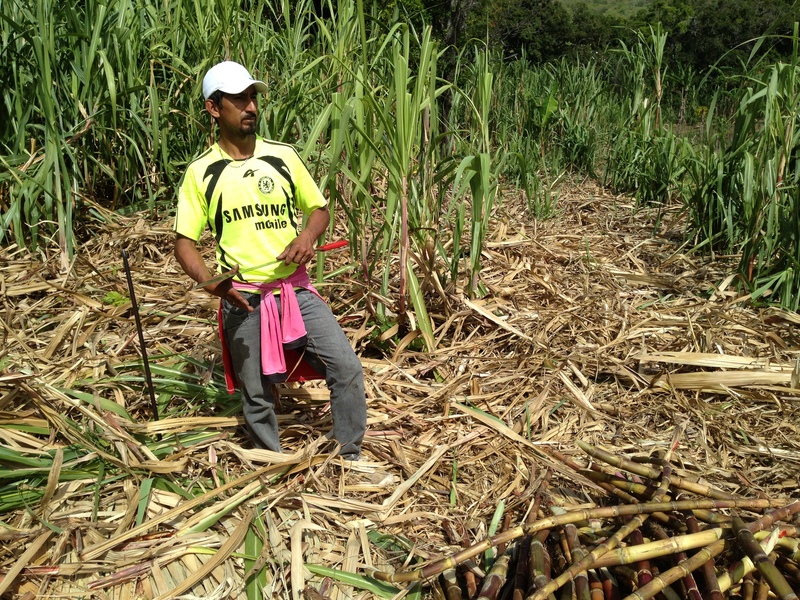 We are able to share small jokes, including the nickname of one community member bien “El Chivo Loco”. It is much like a courtship that has moved beyond the initial stages of being very self conscious and nervous, wanting things to go right but at the same time not wanting to give too much away at once, to the stage of a better understanding and the developing of a real history between the two parties. As much as our project has advanced in terms of infrastructure and the organizing of more projects, this is just as great a development for true trust and understanding between the communities and our team will be invaluable as we move on together on our project. Conor Tong is the project coordinator for the Healthy Living Initiative. 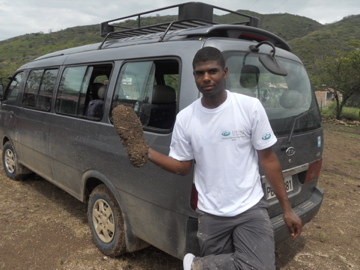 He is a graduate student studying International Development at Ohio University. This is his second year going down to Ecuador with the Tropical Disease Institute. One of the critical activities and components of Tropical Disease Institute’s Summer Program is health research, which is conducted by Clinic team. They have been working hard this whole week to set up the lab in and invite local people in Melva Usaime and Usaime communities to come and check for disease, not only Chagas disease but also overall health condition. After health checking, they also get consultation from our doctors to see what they should take for medication to improve their health condition. The day started with setting up the lab and reception table for people who come for clinical test. They are first explained what the test is for and is asked for consent before taking their blood samples. Once they have understood the purpose of the research and agree to participate, they will sign in two copies of consent forms, with one for participant and one for our record. Children who are accompanied by their parents are also asked for their parents’ consent to take part in the research. A lot of people come with their children who are too small to understand what is going on, so we mostly get their parents consent for children under 12 years old. It is reported that there were 113 samples on the busiest day of the clinical team so far, and more than 90 people on average come everyday for health checking. When the consent forms have been signed, the participants will be sent to clinic room to take blood samples. While their samples are sent to the lab for testing, they can go to the vision clinic right next door to test for shortsighted and other vision diseases. Once we have the results of their samples from the lab and their vision tests, they are going to be sent to our doctors for consultation and medication if necessary. The process keeps the whole team working all day long although they are the biggest team in Healthy Living Initiative this summer with more than 30 people. Well, working hard does not mean that clinic people don’t know how to have fun. On our way to Melva Usaime in one of the “bananas”, music is always on and we were all swinging in the car not sure it is because of the music or the bumpy road. And after a long day working at the lab, they finally end up with a soccer or basketball game, while other team members who have finished their duties become the audience. It seems like the clinic people are both good at working hard and relaxing. Great job, clinic team!